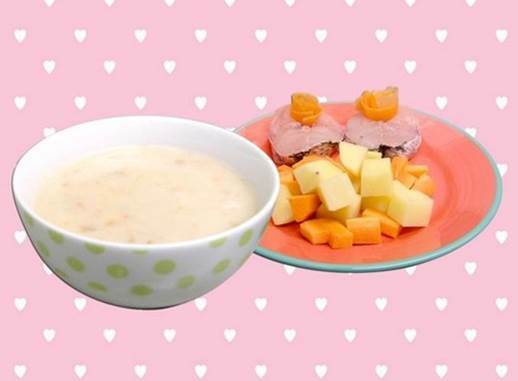 Snakehead fish, potatoes and carrots gruel looks very delicious. · Cook the fish meat, carrots and potatoes. Wait till the cooked cool down then slowly add rice powder. Add the cooking oil in the end. · When cooking nutritious gruel which has snakehead fish for babies, you should take notice of the fish’s bones which need getting rid of in order not to have them stuck in the baby’s throat. Because fish is fishy, you should clean the fish slim carefully. 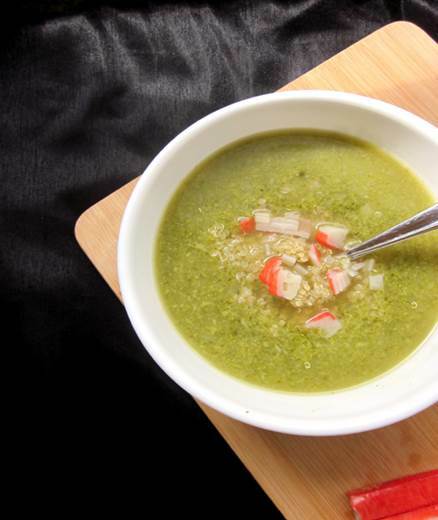 Crab, semolina and broccoli gruel is good for children. · Last thing is put some cooking oil, stir it then let your children it this. 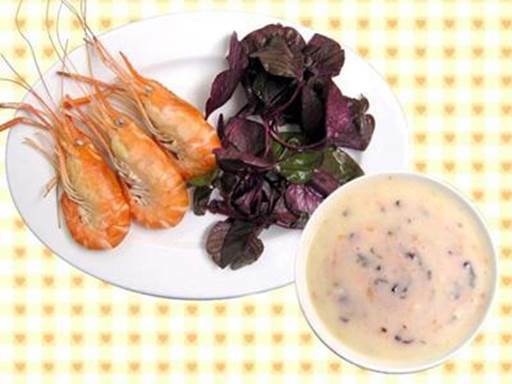 Shrimp and spinach gruel is very nutritious for children. · Boil the water then put the shrimp and spinach in it to be cooked. Wait for the cooked cool down then slightly add the powder and cooking oil. · Spinach is rich in iron and vitamin A that will provide babies with healthy growth. It contains a great amount of calcium which improves the height of babies. Besides, it also has a significant amount of iron and vitamin C. Vitamin C helps absorb iron and prevent iron deficiency. · Children who are 7-12 months old can eat 20-30g fish, peeled shrimp a meal, 1 meal a day and 3-4 days a week. · Children who are 1-3 years old can eat seafood cooked with gruel, noodles, soup…daily, a meal a day, and 30-40g seafood a meal. Uncooked seafood can contain intestinal bacteria and parasites. Nowadays, as the environment is more and more polluted, we have to consider being infected with heavy metals like mercury. To reduce the risk of being infected with heavy metals, moms should process seafood carefully.